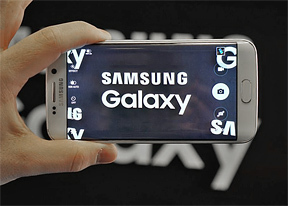 Check out our full Samsung Galaxy S6 review, complete with all of our proprietary tests. We had the Samsung Galaxy S6 edge with us for a short time so we took a stroll though Barcelona with a Galaxy Note Edge for an impromptu shootout. We took some photos and videos and you will find the direct comparisons on the following pages. 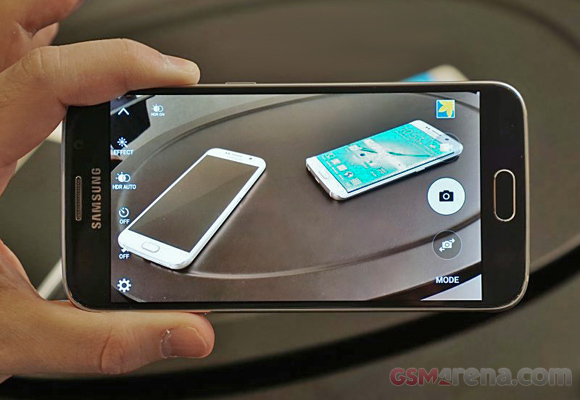 The Galaxy S6 edge uses the same 16MP image sensor as the Galaxy Note 4 and Note Edge, the Sony IMX240. The S6 edge upgrades the rest of the camera hardware with a new lens, which has an f/1.9 aperture. This lets 34% more light in than the old f/2.2 aperture and also makes bokeh in macro shots look much better. Both cameras have optical image stabilization and can record 2160p @ 30fps video. There are also high framerate modes - 1080p @ 60fps and 720p @ 120fps. We didn't have time to test those, we'll do a more extensive shootout once we get a review unit as we couldn't keep this one very long. We also had an Apple iPhone 6 on hand so we snapped a couple of photos with that too. After all, with Samsung's new appreciation of metal frames the Galaxy S6 edge will look to attract converts. Jump over to the next page for more details on the interface and a comparison of the still camera, then on the third page is a quick look at panoramas and the 2160p video capture skills of both Galaxy Edge devices.